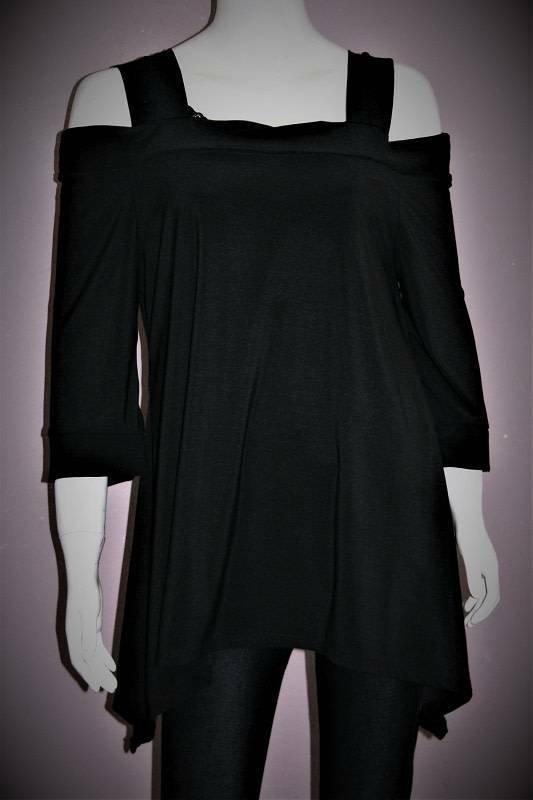 Black shoulder tunic with shark-bite hem with shoulder cutouts. Trendy yet classic! Creates a very figure-flattering line and is also a great length!